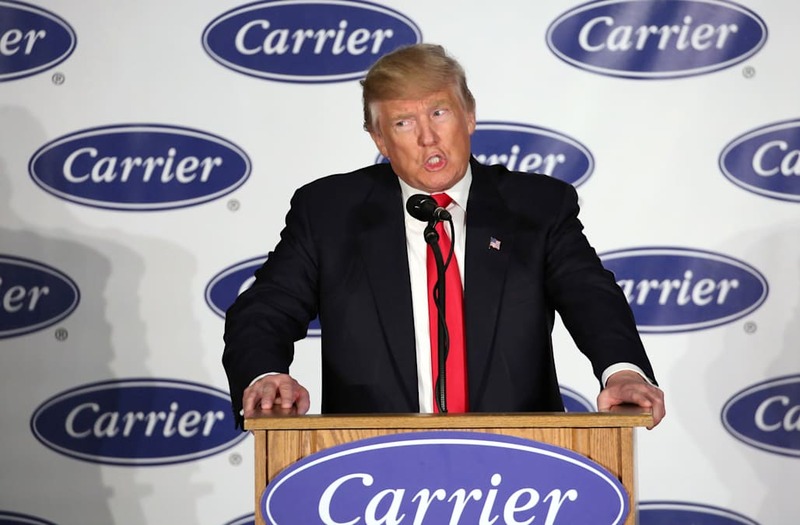 WASHINGTON, Dec 3 (Reuters) - President-elect Donald Trump, after threatening consequences for companies that move jobs overseas, turned to another Indiana company planning a move to Mexico, drawing a rebuke from former Democratic presidential candidate Bernie Sanders on Saturday. "Rexnord of Indiana is moving to Mexico and rather viciously firing all of its 300 workers. This is happening all over our country. No more!" Trump said in a Friday night Twitter post. Company representatives on Saturday did not respond to a request for comment on Trump's tweet. Critics, including some Republicans, said making such agreements with individual companies amounted to corporate welfare and was not an effective way of keeping or generating U.S. jobs. Sanders, who criticized U.S. trade policy in his race against Hillary Clinton for the Democratic presidential nomination, said Trump's deal with Carrier set a "very dangerous precedent" of having taxpayers subsidize multibillion dollar corporations to "beg them" to keep jobs in the country. "What are you going to do, @realDonaldTrump? Stand up for working people or give the company a massive tax break?" Sanders tweeted in response to Trump's post.